COM DEV Europe offers a comprehensive range of expertise in the space sector and has a full capability in the design and manufacture of filters, multiplexers, ferrite devices, integrated assemblies, active RF and electronic equipment for communication, Earth observation and remote sensing satellites. With participation on more than 75 missions over the last 25 years from both commercial and institutional clients, COM DEV Europe has developed significant RF, DC and digital heritage on programmes with all the major Space Primes. Products include, analogue and digital electronics (detector electronics, EGSE, TT&C transceivers, high speed downlinks), ferrite devices (switches, isolators, circulators), active microwave devices (LNAs, gain blocks, receivers, detectors, SSPA, upconverters, downconverters) & passive microwave devices (I/O multiplexer filters, couplers, waveguides). Our test facilities include, thermal/vacuum, vibration and high power. Strategic procurements involve multiple stakeholders, significant budgets and have a big impact on business performance. They may represent only 20% of procurement transactions, but often account for 50% of annual spend and 90% of procurement risk. The issues faced by procurement professionals are common throughout the world. Commerce Decisions provides software and services to support the procurement and post contract review processes for both buyers and suppliers. For buyers we improve the efficiency and effectiveness of the evaluation process in order to make the best buying decision based on all the relevant criteria. For bidders we improve the quality and timeliness of proposals to best meet the needs of the potential buyer and thereby give them the best chance of securing the contract. With accumulated knowledge derived from supporting in excess of £200 billion of procurement, Commerce Decisions works with the bidder community to improve efficiency, proposal quality, and compliance to buyers’ evaluation practices. Committed creates software solutions for the Defence, Intelligence and Commercial markets by employing deep technical skills and leveraging experience. We provide technology consultancy, software design and development, research, data analysis and integration services. We seek to create innovative technical solutions which address challenging problems. We work from conceptual research to prototypes and production systems. We emphasis delivery, be that software or documentation, and seek opportunities for exploitation. 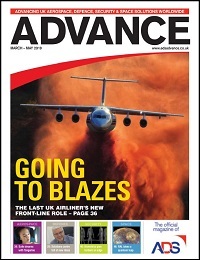 Specialist provider of communications content to the aerospace, defence and security sectors such as BAE Systems, Blighter, Harris, Lockheed Martin, L-3, Plextek, MBDA, QinetiQ, etc. Conjay has 2 Elements: Munitions and Security Detection Systems. Firstly, we are the foremost supplier of Armour Piercing and Ballistic Testing Ammunition in Europe. We keep core stock of the popular cartridges for testing Body Armour, Helmets, Glass Composites, Metals, CIT, Banks, Government Buildings, Bunkers, Armoured Vehicles and Helicopters. We have great expertise in sourcing and supplying both East Bloc, NATO and other Infantry Munitions from around the world, of both current and obsolete natures. We also supply Training products such as Cartridge Boards, De-Activated Weapons and blank ammunition. Secondly, Security Detection Systems range from Expray and Expen Explosives Test Kits, to NV, Thermal Imaging & Advanced Aiming Systems and finally Drug and Forensics Testing. Conjay holds both RFD and Section 5 Licenses. We have achieved ISO9001.2008 Certification, NCAGE and DEFCON status. We provide a range of professional and reliable bespoke security and risk management solutions that give our clients complete peace of mind. Utilising high calibre personnel drawn from the British Military, Police and the Private Security Industry combined with a wealth of knowledge through years of operating around the globe we ensure your property, assets, people and reputation are safe and secure. Manufacturer of Aluminium precisions and castings, hard alloy extrusions. Global Leader in aluminium solutions for aerospace sector. ConsultAvila is a well-established consultancy specialising in helping organisations to achieve world class performance through transformation and operational improvement. The ConsultAvila team has extensive experience as both senior managers, and consultants, in the aerospace and defence industry. This proven track record of achievement has provided ConsultAvila with a unique insight into the industry. Our approach minimises unnecessary external input and actively involves the client at all stages of the assignment, resulting in a superior transfer of technical and change management skills into your organisation. We work in partnership to develop and implement sustainable solutions to complex business problems. ConsultAvila has the knowledge, skills and experience required to support your organisation through the entire process of change, delivering tangible results at pace. Converging Data provide Data Analytics and Cyber Security services. We specialise in the deployment of Splunk, a Machine data platform delivering Big Data solutions. Copas consistently delivers world class engineering excellence (AS 9100, ISO 9001) in 3, 4 & 5 Axis Milling, cost effectively by optimising advanced production technologies, driven by our highly skilled responsive team. Shaun Copas founded Copas in 2006, combining his expertise and dynamism, to deliver world leading quality machined components, cost effectively for his clients. As his clients have grown so has his company and reputation for creating excellence together. Copas is a trusted, dynamic, inspirational, progressive company that continuously strives to improve quality and efficiency, allowing us to deliver solutions and value to our clients. Copas is a market leader and has an enviable record for capability, innovation and reliability, due to rapid response production logics running through its DNA. Exporting globally across multiple market sectors, including aerospace, rail, energy, automotive, photonics and electronics. Our experienced CAD/CAM engineering and quality departments, will assist and liaise, to ensure your components are expertly programmed, produced and quality checked to exacting standards (AS9100, ISO 9001 certified). Copas's core strength is our meticulous attention to detail. Delivering excellence for our clients, through our highly skilled team, advanced innovative production systems and respected quality department. 100% inspection verified by CMM. Our highly experienced and respected quality department will convert your designs and specifications into FAI (First Article Inspection) reports including COC (Certificate of Conformity) for materials specified to produce your precision milled components. Over the next 5 years, Copas will be implementing an ambitious growth strategy that will see us relocating to a new factory, doubling our workforce and capacity. Copas employs a team of over 40 skilled personnel and have plans to double our workforce within the next five years. In order to deliver and maintain our reputation for excellence. Copas has establised its Academy of Excellence to train our employees in how to deliver our core values across the company. Copas supports a range of local charities and groups to give something back into the local community to support development and inspire the next generation. Copas are part of the global community and we take our environmental responsibilities very seriously, so that we can say we played our part in reducing waste and protecting the planet for future generations. Every year billions of dollars are wasted in unsuccessful repairs caused by intermittent faults in avionics, components and wiring. Copernicus Technology Ltd finds these 'undetectable' faults with the market-leading and award-winning range of intermittent fault detection and integrity testing technology: the Ncompass-Voyager and the IFDIS. We also provide specialist training & consultancy in Maritime Patrol Aircraft operations & support. If you have avionics or wiring faults or No Fault Found problems that no-one can solve then contact Copernicus Technology Ltd now and find out how we can help you. Cornwall Development Company (CDC) is the economic development delivery arm of CC. CDC role at NCA is to support CAL to attract, secure and grow business and investment on site, create a business environment free of constraints. The Local Enterprise Partnership (LEP) for Cornwall and the Isles of Scilly and CC have commissioned CDC to deliver the Aerohub Enterprise Zone at NCA. 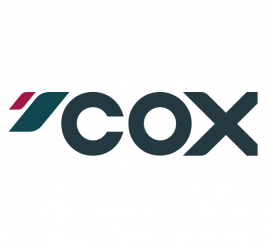 Costain helps to improve people’s lives by deploying technology-based engineering solutions to meet urgent national needs. We have been shaping the world in which we live for the past 150 years. 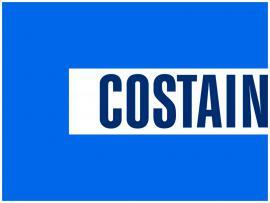 Costain is a professional services consultancy providing a range of solutions through the lifecycle of infrastructure, construction and asset management programmes. These projects are managed on behalf of clients across the defence, energy, power, infrastructure and transport sectors from our offices in the UK. With over 4,000 technical and support staff, we are amongst the largest professional services consultancies operating on an international stage and our clients continue to choose us because we retain our agile, responsive and innovative approach. Our on-going commitment to excellence is a key ingredient to what makes us stand out from our competitors. We strive to define industry best practice and operate through centres of excellence in Health & Safety, Project Management, Commercial Management, Engineering, Critical Asset Protection, Environmental, Planning & Project Control, Programme Assurance, Risk Management, Dispute Resolution and Information Services. Sub contract metal finishing company providing various surface treatments to a wide range of industries. Anodising, Hard Anodising, Aluminium Chromating, Electroless Nickel Plating, Tin Plating, Gold Plating, Wet Painting, Powder Painting, Dry Film Lubricant Application. 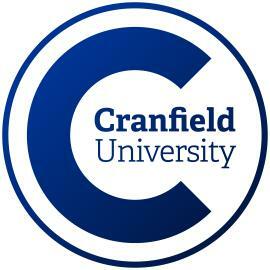 Cranfield Aerospace is the wholly owned commercial arm of Cranfield University and provides rapid innovative solutions to some of the most challenging issues in the aerospace industry today. Its highly experienced team of engineers provides a technical capability that is unique in the UK, and through the company’s MoD and EASA approvals, provides customers with services to innovate, design, manufacture and build complete manned and unmanned airborne systems, either experimentally or as fully certified equipment for release to service. We also provide a range of flight trials capabilities and the capacity to support the major defence agencies and the primes in the industry with specialist services in the area of clearances for weapon systems. CAe is the market leader in the provision of hi-fidelity G-cueing product for most of the world’s top-level fixed base military simulators and is unique in having successfully read across this technology to Formula 1 racing. Creative Composites are Engineers and Manufacturers of advanced composite components. At Creative Composites we provide a unique combination of composite design expertise, efficient manufacturing and the highest levels of customer service. Specialising in compression moulding and RTM.